Dice the butter into cubes and allow it to soften out of the refrigerator. You can use a microwave for 15-20 seconds to warm it up. Add all of the cake mix ingredients to a large mixing bowl. Using an electric mixer/whisk, beat the cake mix until well combined and fluffy. Prepare a springform cake tin (we used 7.5″ diameter one). Grease a large enough piece of parchment paper with some butter and line the tin. Press it down inside the tin and cut away excess edges (see image below). Transfer to the prepared cake tin and smooth the top with a spatula. Tap the tin against the bench to get rid of air bubbles. Spread 2-3 tablespoons of caramel sauce over the top and sprinkle with a little salt. Cover the tin tightly with foil. Add a cup of water to the Instant Pot and place the trivet on top. Rip and fold another sheet of foil into a sling and place it under the tin. Lower the tin with the foil sling around it into the Instant Pot, making sure the sling edge stick out. We will use these to pull the tin out when the cake is ready. Check the foil is still wrapping the tin. Close and lock the lid and set to Manual, HIGH pressure and adjust the time to 25 minutes. After 3 beeps, the Instant Pot will begin to build up the pressure and the cooking will commence. The pressurizing stage might take about 10 minutes, after which the timer will start. Once the timer goes off, allow the pressure to release naturally (NPR) before opening the lid. This should also take about 10 minutes or so. 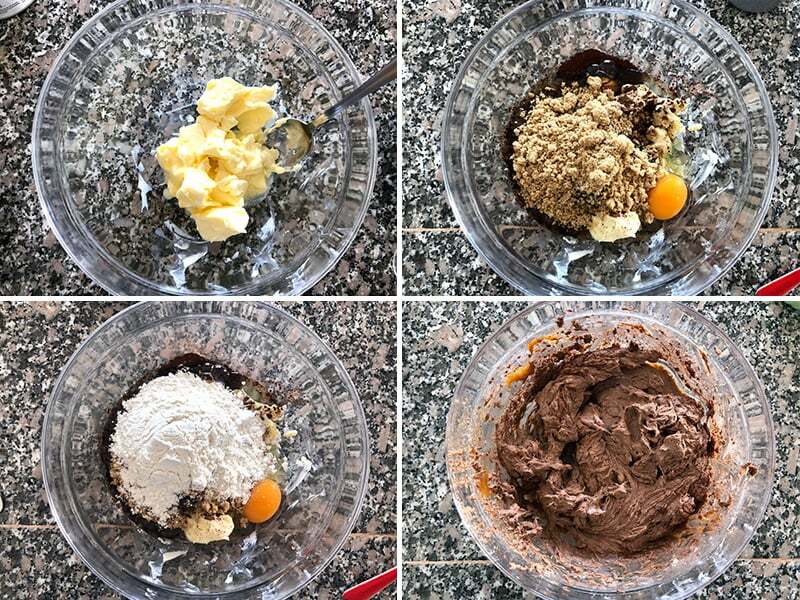 Note that the cake cooks during all of these stages. 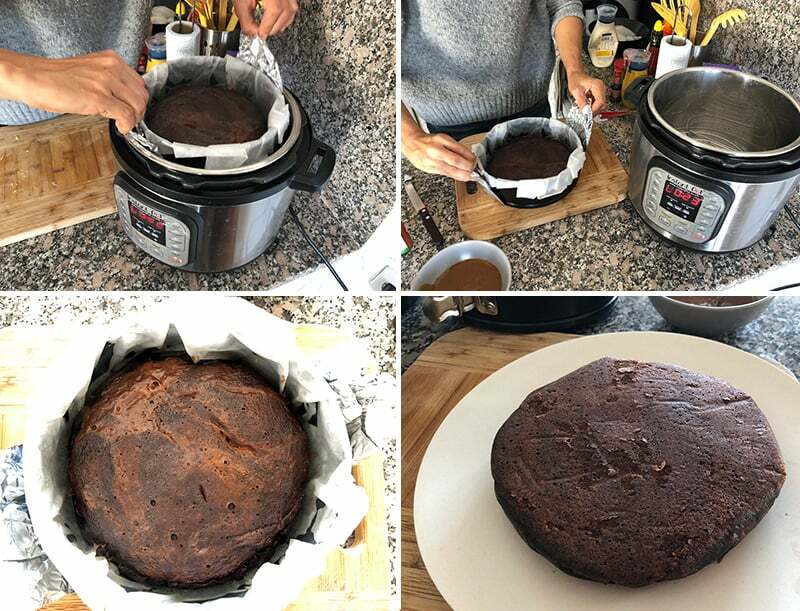 Open the lid and use the sling to lift the cake tin out on to a cutting board. 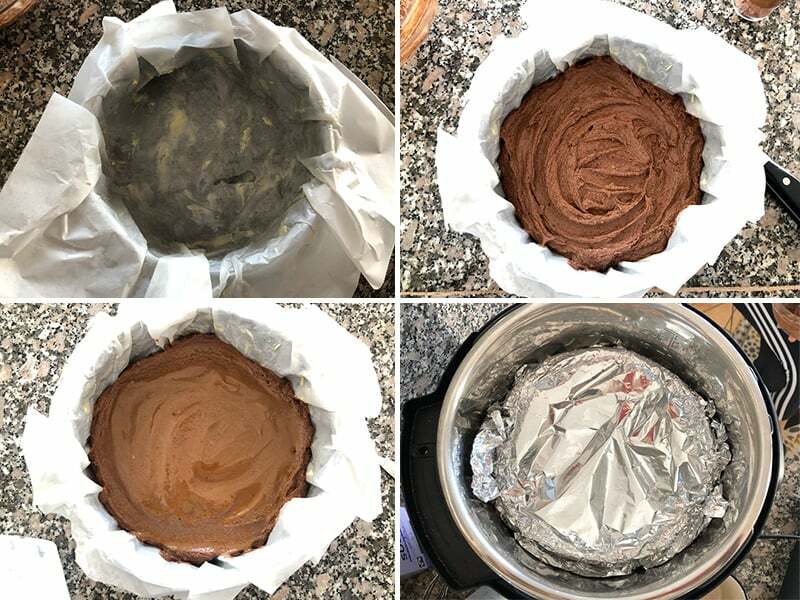 Remove the foil and let the cake to cool for 5 minutes before releasing the springform. Turn the cake upside down onto a plate and cool down for another 15-20 minutes. In the meantime, prepare the whipped cream and more salted caramel. Using an electric whisk, whip the frosting ingredients together in another bowl into soft peaks, thick and fluffy. Mix the caramel sauce with salt in a small bowl. Once the cake has cooled down, pour the caramel sauce over the top. Spread the cream frosting mixture evenly. 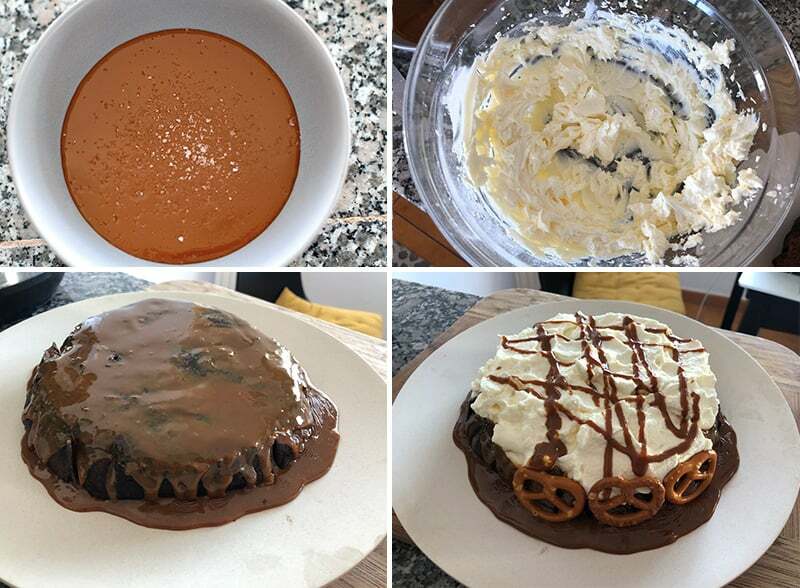 Decorate the sides and the top of the cake with pretzels and drizzle with a little more caramel sauce if you like. Crush a few pretzels over the top as well. Keep the finished cake in the refrigerator for 3-4 days covered loosely with foil or in a cake container. If making this ahead of time, cook the sponge and store in the refrigerator and decorate when serving.